I have become slightly obsessed with Instagram, whether it’s posting my own photos or following others. Since I share my favourite blogs every now and again I thought I’d share a couple of Instagrammers I think you should all follow especially if you’re into your Lush like I am. I’ve found so many new accounts to follow when Kate posted her favourites on Nouvelle Daily so I hope you find a few as well in my round ups. cupsofteas | Rene // The first photo I saw from Renée was one of her amazing bath shots and it inspired one of my Sunday Pamper photos. I really like the colour schemes she uses in her photos and I can’t make up my mind about those doll head candles, are they totally creepy or cool? I’ve decided I actually would like one. She uses a mix of different Lush products and I’m always keeping note of what she uses together for future baths. 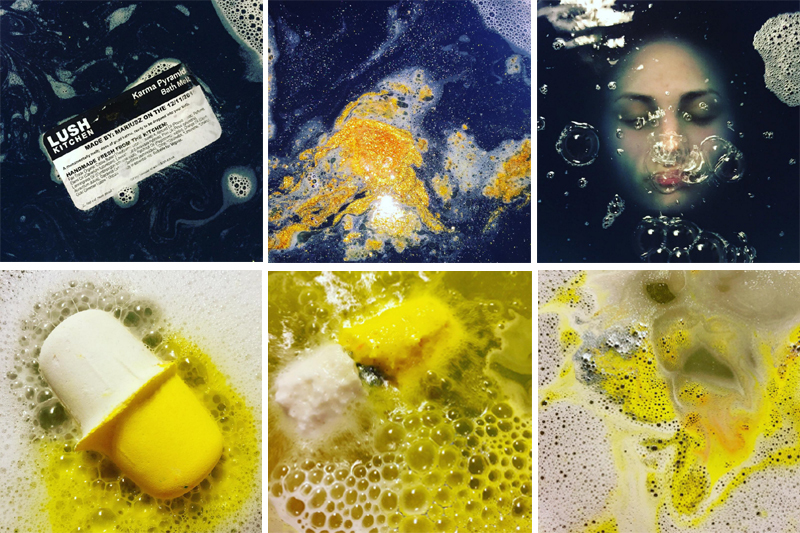 afoxintheflowers | Canadian Lushie // Some of these photos are works of art – just look at the Karma Bath Melt dissolve in the purple water of the Karma Bubble Bar! And the photos of her face in the water are incredible! This is another feed that really inspires me and one I check daily to see if she has posted anything. If you’re interested in bath cocktails then this is the one to follow. eire_in_to | Christine | Irish girl living in Toronto. Works in the bombs room at Toronto Lush Cosmetics Factory // I can’t remember how I discovered Christine’s Instagram feed, I think it was probably one of many scrolls through the Lush hastags that I came across her photos. 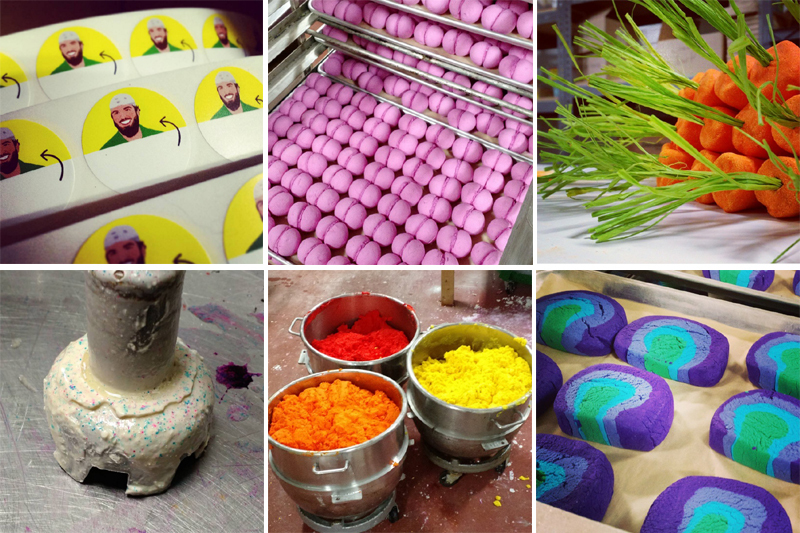 Like the Kitchen’s Instagram, Christine gives a glimpse into what it’s like to work in a Lush factory and I love seeing how messy she gets with all the glitter or how they wash the tables they use to make the products. I also like to see what they get in the staff boxes from Lush! Just look at all those bath bombs lined up! notbydesign | Stephen | Bubbles compounder for Lush Cosmetics Toronto // I found Stephen after I found Christine as I think they work in the same factory. 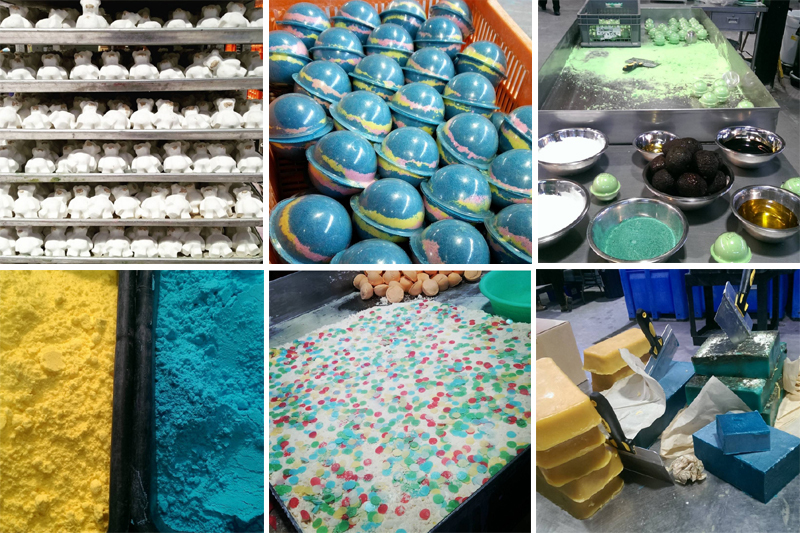 His Instagram feed is similar in that you can see the bubble bars being made and all the processes. 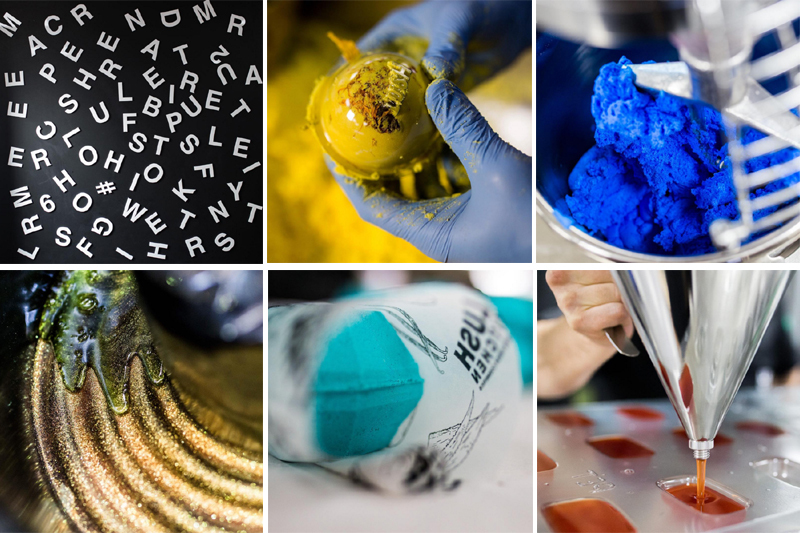 lushkitchen | We're cooking up exclusive posts // How can I write about Instagram and Lush and not talk about the Lush Kitchen. 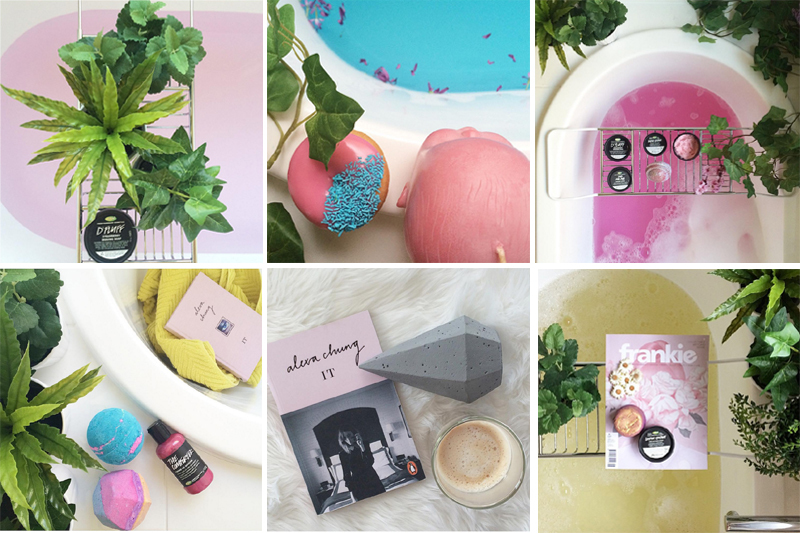 Their Instagram feed is one of my all-time favourites as I’m just so interested in seeing how the products are made and who can resist an army of bubble bars or bath bombs. Their photos are so well taken and thought out and it’s nice to see the staff behind the Kitchen as well. I check their Instagram at 5pm every Sunday for the following weeks menu where I decide which products I want to buy. Usually it’s a case of which do I want more and whittling the list down from the whole lot to a couple of products. Thanks for sharing these. So colorful and vibrant photo galleries! Never saw these instagram accounts before.